At the same time, CryptoKitties burned up 15% of Ethereum's gas, causing a mid-level congestion and increasing in-game fees. Since we have been working on some ICO projects over the last months, focusing on cryptoeconomics and token design, we felt the need for a model that would allow a high-yield return for investors on the one hand, whilst guaranteeing the stability and a proper functioning of the specific application(s) at the same time. allows an overall story of combining a cooperative/post-capitalist model with a pure capitalist play by technically separating both aspects through the representation of two dedicated tokens. The only function of the CT is that of a currency. In all of the network’s potential applications, there is one overarching CT. The AT is designed depending on the respective application’s requirements. 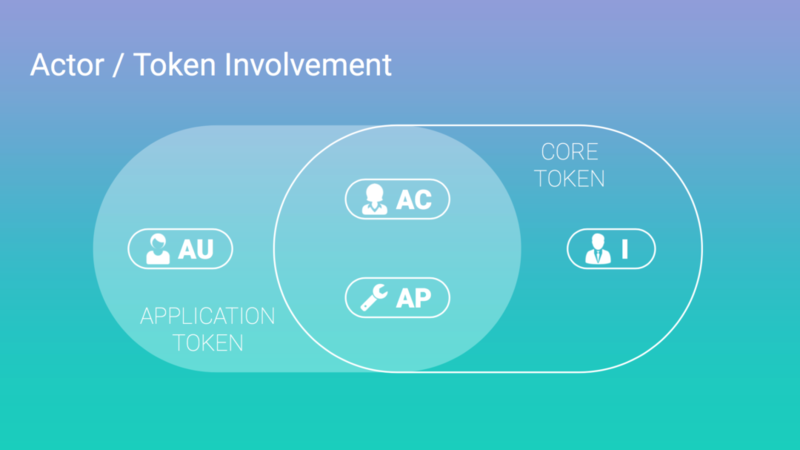 It is the only token that allows the usage of the respective application. It is not listed at any exchange. Potential listings of ATs probably could not be prevented technically, but by regulation: The network defines the listing of AT’s as not allowed and will exclude applications that behave otherwise. Organizers of applications that already have a token will be offered to exchange their tokens for AT. Additionally, they can be awarded CT depending on their applications’ asset values. A (revenue-driven, high-yield) SAFT will finance the development of the network and serve as the initial AT supply of the network. Within the first applications running, AT holders can earn additional AT, and, directly derived from that, additional CT. The intensity of use and supply of AT represents the intrinsic value of a CT. This model of a clear, technical separation into - and combination of - a speculative and an application part should serve the initially conflicting interests of both categories of the network‘s stakeholders: the potentially application-interested majority of AT holders and the potentially solely commercially driven and high-yield-driven investors who hold and trade the CT.
Every app token holder (ATH) will receive CT’s additionally to their AT’s, if the intensity of use of the application reaches a certain threshold. As long as the intensity of use is above this threshold, the ATH will receive additional CT’s, scaling with their intensity of use. When the intensity of use sinks below the threshold, there will be no CT’s awarded further on. As mentioned, ATH are being rewarded CT depending on their intensities of use of the application(s). There are several aspects of defining an “intensity of use (IoU)” in a good way. First, an ATH could use a specific application very frequently. This could add to her IoU. Then, the ATH could move huge assets within an application. Again, this could add to her IoU. Further on, an ATH could use an application in a way that leads to a higher IoU of another application. This would lead to trans-application elements of the IoU’s algorithm. Then, there are further aspects, s.a. hoarding/inflation, etc.. The definition of the IoU algorithm is one key aspect of this token model. On the one hand, it seemingly is the most complex problem to solve for the network. On the other hand it offers the opportunity to create one single algorithm that is completely variable in design and can be tweaked throughout the lifespan of the network without any need for changing the structure. Due to the fact that the AT is not tradable, and the IoU algorithm prevents the ATH from hoarding and other unintended use, it can be regarded as stable. 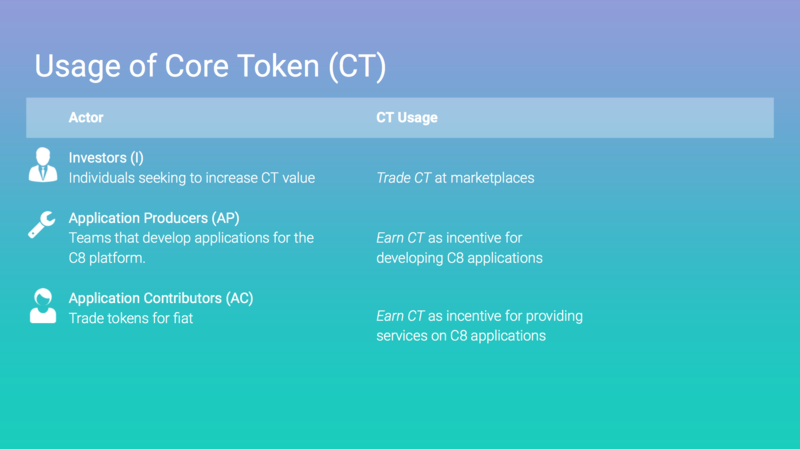 The CT, in turn, is a tradable token that entails no other rights than being exchangeable with other currencies. The prize of the CT will be defined by market forces alone. 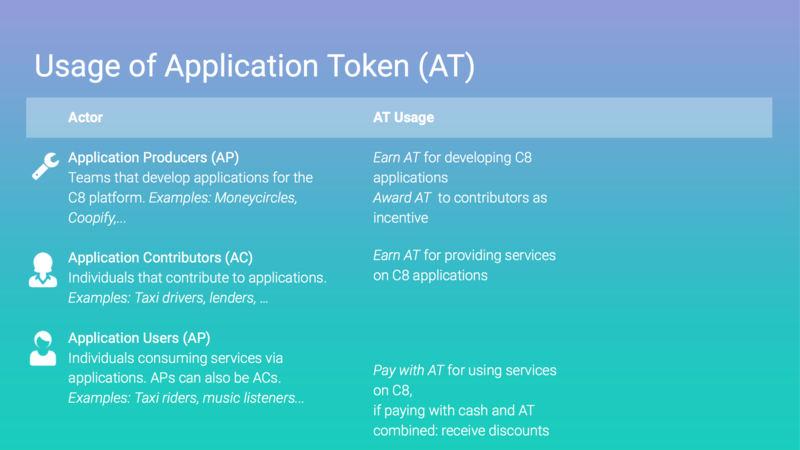 This pure market-driven nature of the CT, combined with the value(s) of ATs, makes the network’s model highly attractive for application-focused users, as well as for investors. We have intensely discussed the TTM within our network, and we have not found severe weaknesses that could prove to become showstoppers. However, we invite you to prove otherwise! Please provide us with your feedback on TTM - thank you!